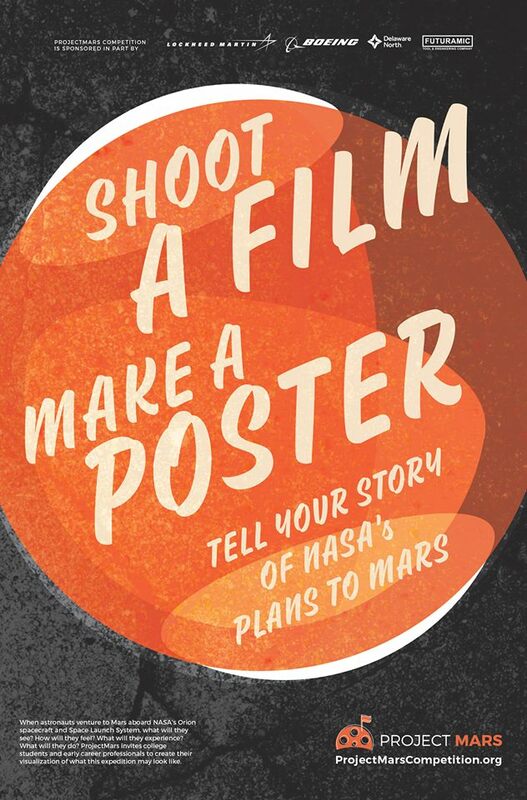 Entries will be judged by film and graphics industry professionals and NASA astronauts. Winning entries will be screened at an Opening Event at NASA visitor centers, NASA museum consortium members, micro cinemas, and other interested venues in Fall 2018. The top film will win $10,000, and the top poster will win $1500. Entries are due August 31, 2018. To register and receive full details, please visit: www.ProjectMarsCompetition.org.